Vistara discount offer: The offer comes amid rising competition among the airlines operating in the country's civil aviation market. 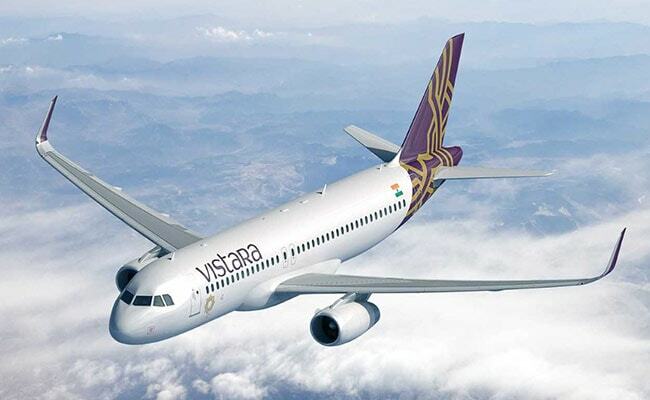 Vistara is offering a 10 per cent discount on domestic flight tickets, said the private carrier on microblogging website Twitter. However, the fare is applicable for a minimum of four passengers for economy class (except economy lite fare) on a single ticket booking and on select routes, according to the carrier's official website, airvistara.com. Up to 10 per cent discount is available on adult base fare for passengers booking under economy standard and economy flexi fares, Vistara noted on its portal. 1. Vistara's discount offer is valid on direct flights and is applicable for sale in domestic flights only. 2. The offer is valid for one-way travel. 3. Customers need to book flight tickets via Vistara's official website or its mobile app only. 4. Changes and cancellation in respect of the bookings made under these fares can only be done via customer service centres, noted Vistara. 5. Flight schedules and timings are subject to regulatory approvals and may be revised without advance notice, said the airline. The offer comes amid rising competition among the airlines operating in the country's aviation market. Meanwhile, rival GoAir is offering domestic flight tickets at a starting all-inclusive ticket price of Rs 1,375 in a limited-period sale, according to airline's official website - goair.in. Bookings under this sale can be made till April 17, 2019. Last week, IndiGo announced three new international and 20 domestic flight connections. According to data from the Directorate General of Civil Aviation, the number of passengers carried by domestic airlines in the first two months of 2019 grew 7.42 per cent compared to the corresponding period a year ago.